All professionals at Dr. Brian Gniadek maintain the highest levels of accreditation and pursue ongoing education to stay abreast of the latest trends in the medical field. Read on to learn more about our staff's experience and training. Tina has been with the practice since 2014. She graduated with a 4.0 GPA from First Institute with a certificate in Dental Assisting, as well as Coronal Polishing. She likes being able to practice both skill sets at the front desk as well as with Dr. chair side with patients. In her free time, she loves being with her family, friends, and dogs. She most enjoys being outdoors and traveling. Lisa has been with the practice since 2016. Lisa has been working in the dental industry for over 5 years. 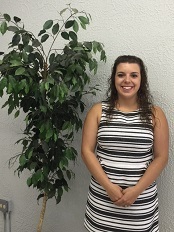 Outside of work Lisa enjoys spending time with her two sons and daughter, family and being outdoors. Rosie has been with the practice since the end of 2016. 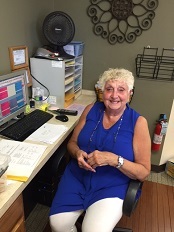 She has 36 years of experience as a eceptionist and dental assistant. In her free time Rosie loves going for walks and being with her grandchildren. 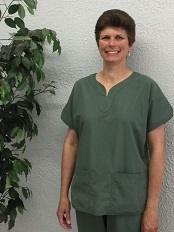 Connie has been with the practice since 1998. Connie has her Associate's Degrees in Science, Applied Science, and Liberal Arts. She has over 20 years of experience as a dental hygienist. In her free time, Connie enjoys spending time with her two daughters, and gardening. 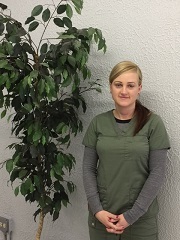 Stephanie has been with the practice full time since 2016, she originally started in 2001 as Dr. Gniadek's dental assistant. After being a dental assistant for 7 years, she graduated from Southern Illinois University with Bachelors in Applied Science Dental Hygiene in 2008 and has been an active dental hygienist since. In her free time, she loves spending time with her son, friends, family, and her little fur baby teddy. She also enjoys movies and going to stand-up comedy. Shannon has been with the practice since 2014. 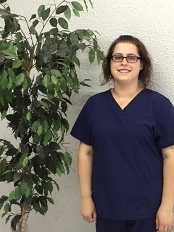 She graduated with honors from First Institute with a certificate in Dental Assisting. 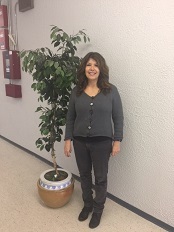 In her free time, Shannon enjoys going to the movies with her two sons and daughter as well as going to museums, reading, and spending time with the rest of her family and friends.